Make a natural background for your tree frog vivarium! Gather pieces of logs, bark and branches that are safe for your species of frog and attach the pieces to the walls of your vivarium with aquarium silicone. 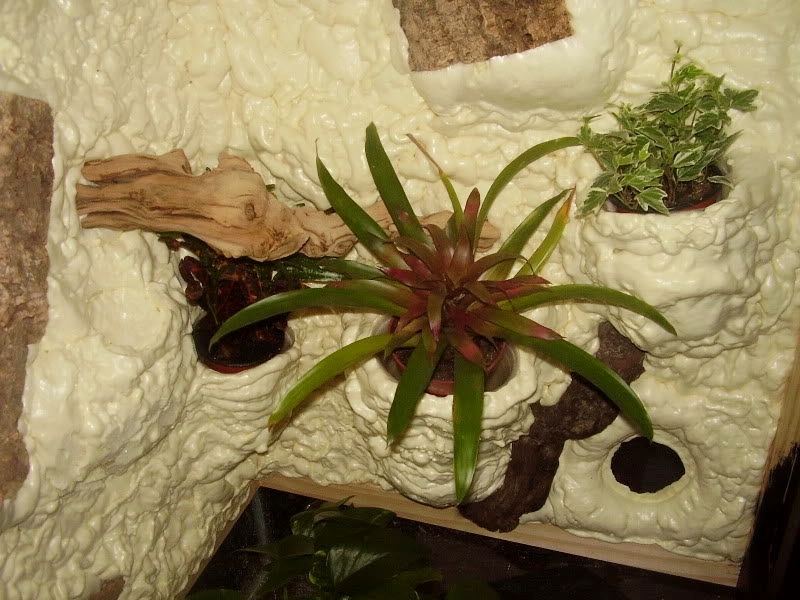 Coat each wall with a layer of expanding foam and incorporate plastic containers for live plants and plastic container lids or bottle caps for raised feeding dishes and air plants. Cut out any foam circles for ventilation or windows if desired and seal the cut foam. Coat the background with caulking and dust the surface with a mixture of Eco Earth and coconut fiber.